PHILADELPHIA -- Pennsylvania Gov. 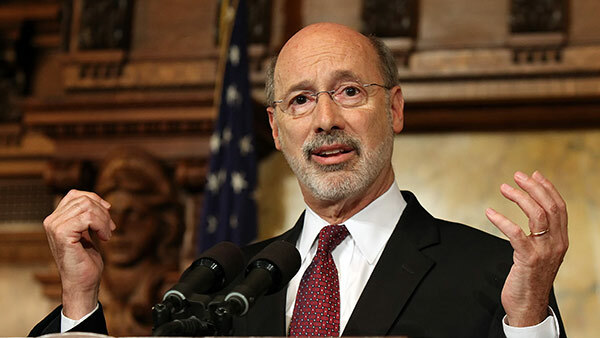 Tom Wolf has signed a bill guaranteeing state-level funding for a popular children's health insurance program, and urges Congress to renew federal funding. He was at the Children's Hospital of Philadelphia to sign the bill Friday that will fund for the Children's Health Insurance Program, called CHIP. Fresh funding for the $14 billion CHIP program ran out Oct. 1. Since then, some states have relied on unspent funds. Earlier this week, the Democrat was one of 12 governors of both parties who sent a letter to congressional leaders asking for the program to be reauthorized. The governors said funding the program "without disruption" is something they can all agree on. It covers more than 180,000 children in Pennsylvania, providing health insurance kids whose families earn too much to qualify for Medicaid.